Lauren recently moved to Nashville, TN, to live with her country singing boyfriend, and now Chris Lane is thinking about taking their relationship to the next level. Chris, 34, told Entertainment Tonight on Sunday he and Lauren have talked about marriage and he's "working on" a marriage proposal. "Don't tell her that, though," Chris said, revealing he will probably pop the question later this year but not in the next few months. Chris shared his proposal will be "100 percent" traditional when that moment comes and he will absolutely get down on one knee. "I'm a country boy, that's how you're supposed to do it," Chris insisted. The proposal, however, may not come as much of a surprise to Lauren, who found fame when she competed on Season 20 of The Bachelor. "[I] think she knows," Chris told ET of his brewing engagement plans, explaining the couple has "100 percent" discussed tying the knot in the near future. Chris made the comments while walking the red carpet at the 2019 Academy of Country Music Awards on Sunday with Lauren in Las Vegas, NV. "It's my first ACMs with my beautiful girlfriend, and I'm excited about that tonight," Chris gushed. Earlier that morning, Chris called Lauren, 29, "the love of my life" on Instagram. 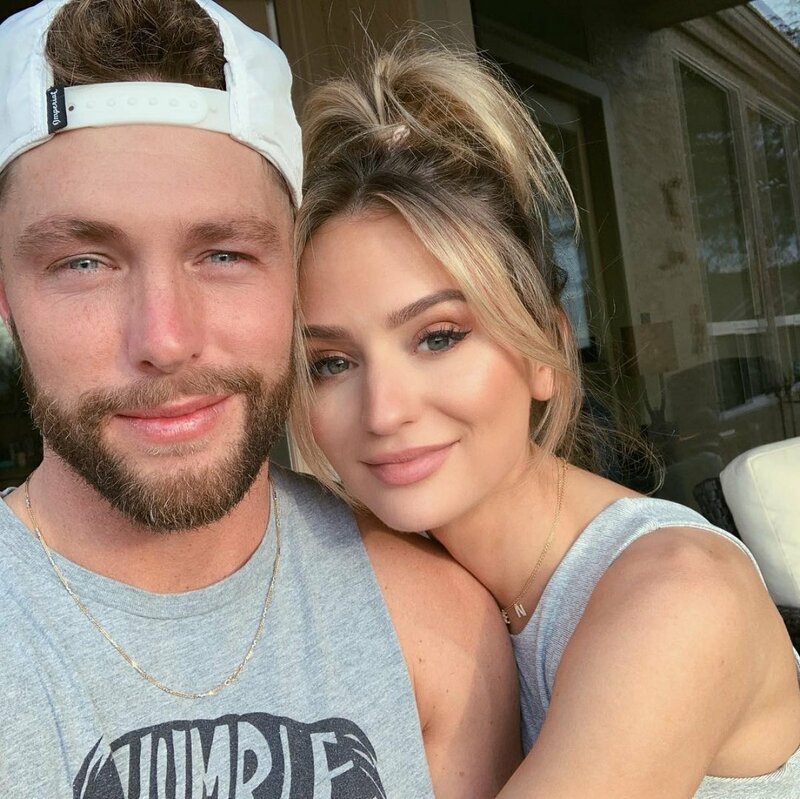 The country singer hinted he might be getting ready to propose back in January when he posted an Instagram photo of himself playing golf with Lauren's dad and captioned it, "Great day on the course with my potential future father-n-law." Chris also praised his relationship with Lauren during his red-carpet appearance, saying things are "so easy" for them. "She makes me laugh so hard; we have so much fun together," said Chris, who went public with his relationship with Lauren in November 2018. "She actually just moved her life from L.A. to Nashville, and I was a little nervous about that because I'm probably the cleanest person in the world and I thought to myself, 'If she's not... it could be a dealbreaker in a way.'" But Chris was pleasantly surprised to find out how clean and organized Lauren turned out to be. "She is, honestly, worse than I am when it comes to that," Chris joked, adding that Lauren cooks and he cleans. Prior to getting romantically involved with Chris late last year, Lauren had been engaged to former The Bachelor star Ben Higgins and also dated a man whom she had met on Tinder, Devin Antin.